People living near the busy A1 trunk route in Nottinghamshire, UK, are among 40,000 roadside residents now enjoying a quieter life due to a major noise reduction initiative from Highways England (HE). 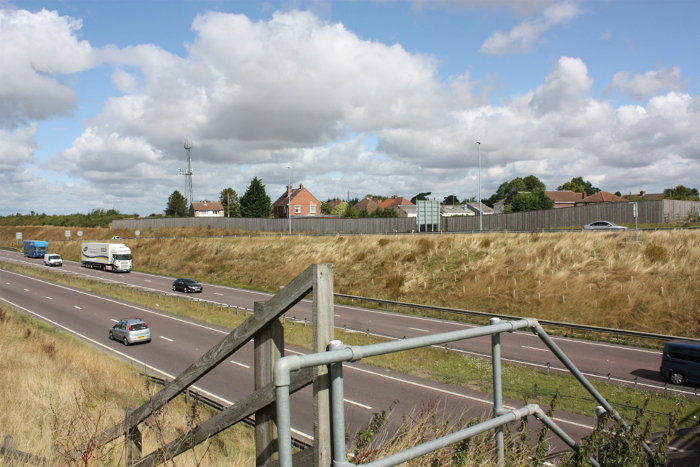 As the agency with responsibility for managing England’s Strategic Road Network (SRN), HE has pledged to reduce noise levels for people living in over 1,000 areas close to motorways and major A roads by spring 2020 by installing noise barriers, providing free double glazing, and laying new quieter road surfaces. 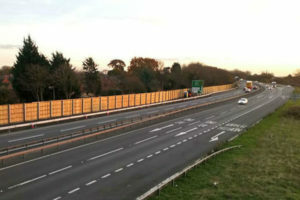 A 1,968ft (600m) noise barrier close to the village of North Muskham, Nottinghamshire, is the latest structure to be installed as part of the scheme. The 10ft (3m) high barrier has been adopted by the local community after villagers decided to plant 150 shrubs in front of it. 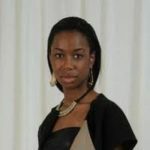 HE has a £39m (US$50m) special fund to reduce noise levels for people living close to SRN routes, which includes installing noise barriers in areas where they are likely to have a significant benefit for local communities. The organization has also installed free double glazing in more than 600 homes, and laid quieter surfacing on over 6,000 miles (9,656km) of lanes on motorways and major A roads since 2015; equivalent to resurfacing the entire M6 motorway three times over. 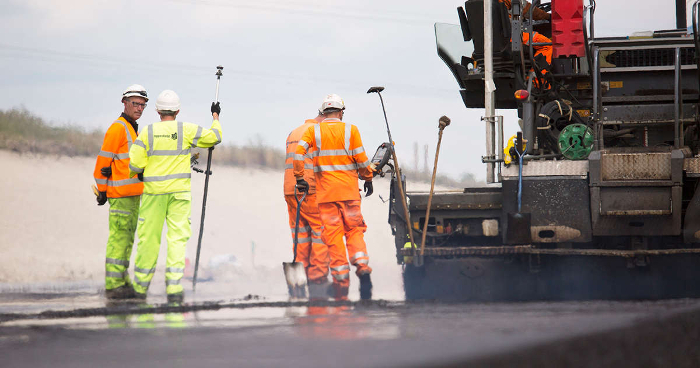 Quieter surfacing is now installed as standard wherever possible on the roads managed by the highways agency. The smoother and thinner top layer can help make roads significantly quieter than traditional road surfaces. Last year, HE won the Silent Approach category at the Noise Abatement Society’s annual awards ceremony in London for its work to reduce noise levels for over 40,000 roadside residents since 2015. The awards recognize organizations that are judged to have been outstanding in their efforts to both reduce the impact of noise and seek to pioneer practical and innovative solutions.